You're simply perfect as you are! 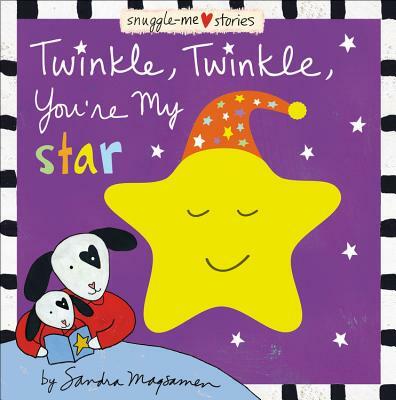 Featuring a soft, puffy fabric star on the cover and adorable illustrations of animal families in pajamas inside, this book is perfect for bedtime sharing. Parents and their little ones can read and sing along with the sweet rhyming text - a heartfelt twist on a classic song that is sure to delight! Sandra Magsamen is an artist, mom, author of Living Artfully, and creator of the Messages From The Heart brand. She designs gifts and ideas that encourage us to live with heart. Sandra Magsamen lives artfully with her family in the Maryland town in which she grew up. You can visit her online at www.sandramagsamen.com.